Happy Saturday everyone. Yoga was cancelled, while a huge disappointment, allowed me to sleep/lay in bed a little longer this morning and sometimes we just need that. 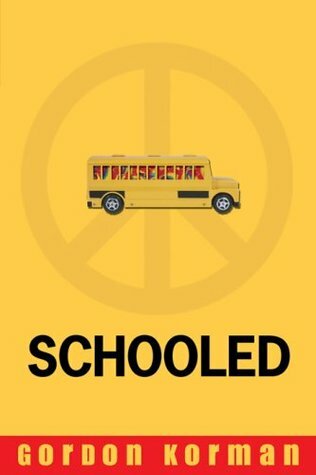 Schooled by Gordon Korman is one of my favorite elementary chapter books for its celebration of independent and creative thinking-something we need more of across the board. Capricorn Anderson is a young hippie living on a commune with his grandmother Rain. He leads a happy life until Rail falls out of a tree while picking plums. For the first time Capricorn is sent to school while Rain recovers. School is a strange world to comprehend to a peaceful boy. He takes it all in stride, spends time confused, experiences his first crush but all throughout he stays true to his positive ideals. Cap is a great character created by Korman; perfect for teaching kids empathy for those different than us. We all need that today.